KABUL: Jihadi leader Gulbuddin Hekmatyar for the first time spoke about Pakistan's policy in Afghanistan, accusing Islamabad of supporting Taliban. 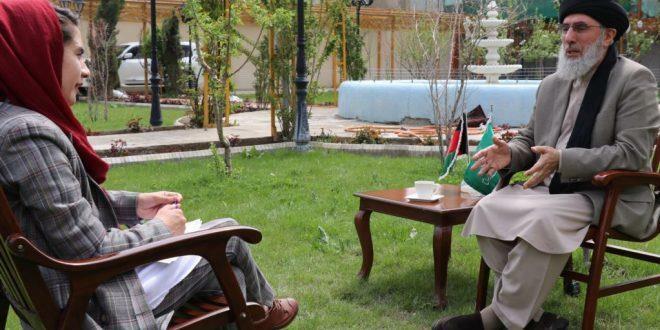 Hekmatyar who leads the Hezb-e-Islami party since jihad years, is told to have lived many years in Pakistan with close ties to the country's army intelligence (ISI). He was not heard to have spoken about Pakistan in the past. 'Pakistan is one of the states that has relations with Afghanistan issues and has its own position against this country. Pakistan supports Taliban and there is no doubt in this regard,' Hekmatyar said Monday. He added that Afghan war was at the expense of Pakistan instead of benefit particularly in its economy. Hekmatyar said that Islamabad now wills that peace comes to Afghanistan. Pakistan has denied accusations from Afghan government and international community that it supports terrorist groups that launch deadly attacks in Afghan soil. The leader of Hezb-e-Islami party criticized government and Taliban for announcing spring operations, saying such things would put negative impacts on the peace process. The government for the first time is planning to send a team to Doha to sit face to face with Taliban negotiators, while the militants have said that government's representatives would attend the dialogue as individuals and not as government delegation.